Many tropical regions are at risk from oil spills, whether from shipping passing along important routes nearby or from offshore oil production or coastal refineries. Many tropical nations rely on the sea for food and need clean water for aquaculture ponds, to feed desalination plants and to sustain tourism. There are also important unique ecosystems, many of them very vulnerable to oil spills and in remote areas. It is important that, if there are spills, they are rapidly and effectively contained, but the properties of oil in tropical waters differ so greatly from those in colder waters that a separate guide is needed for these regions. 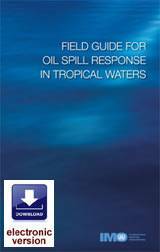 This extensively illustrated field guide is directed towards those who have to respond to oil spills in tropical marine waters. It aims to provide information and general guidance on the response measures to be taken (and on those to be avoided) for the different types of tropical habitat. Background information is given on the fate of spilled oil, characteristics of the different marine habitats and suitable techniques to use to respond to oil spills. The principles of spill response described in this guide are based on case histories and on experiments that have been reported in the scientific literature. 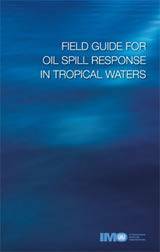 This extensively illustrated field guide is directed towards those who have to respond to oil spills in tropical marine waters. It aims to provide information and general guidance on the response measures to be taken (and on those to be avoided) for the different types of tropical habitat. Background information is given on the fate of spilled oil, characteristics of the different marine habitats and suitable techniques to use to respond to oil spills. The principles of spill response described in this guide are based on case histories and on experiments that have been reported in the scientific literature.